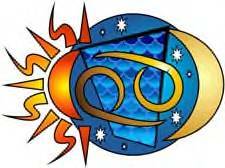 As the winter nights and the global financial situation seems to be in a slow mode, a chance for change of attitude and hope, and a time to make a difference is in the air with 02 Sagittarius 36 partial Solar Eclipse at 10:10 pm PST on November 24th 2011. 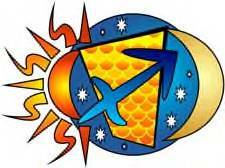 Eclipses are extra potent moon phases signaling a beginning or completion of a major lesson or lessons in life. Another important aspect is that this is the last of the six super moons for the year which indicates its’ closest distance from the earth and the importance its influence may have in our lives in the coming weeks. Coincidentally it is happening at the end of the day during the celebration of Thanksgiving in theUnited States. With a stellium in Sagittarius and a trine involving Jupiter, Pluto, and Mars, it is reminiscent of the song “High Hopes” written by Sammy Cahn from the film “A Hole in the Head (1959). The song tells of an ant with high hopes against insurmountable odds, and finally moving a rubber tree plant. It is a song and story of overcoming the impossible and the unthinkable, because of determination. Whoops, there goes another rubber tree plant. This reminds us that any situations or circumstances needs to be thought thoroughly through if we are to begin to understand if things needs to be revised, updated or a complete new direction be instituted. If change is what is indicated, a thorough understanding and strategy, is a must and should be considered and worked on before jumping into any solution without knowing of a successful outcome. If the remedy to the solution seems to be impossible, the aspects in the night sky are saying to us to use the energy of the planets to decide the next step. Reminding us that high hopes with positive thinking and thoughts combine with determination with an open mind will allow us to find the answer and lead us through the dark tunnel to the light and to safety. The Universe is reminding us that all is energy, and that the mind which is energy can transform and create. The aphorism that “birds of a feather flock together” is more a universal law that is always at work, more then we realize or pay attention to. Keeping our thoughts with high hopes and positive thinking will attract its similarities to it, bringing more ideas and successful completions into reality. “The Sabian symbol for the 3rd degree of Sagittarius is taken from “The Sabian Symbols in Astrology by Marc Edmund Jones”, and what follows are my comments. Sagittarius 3 Two men playing chess This is a symbol of the self-confidence and authority which come to man through his refinement of skills and discipline of understanding, and of his capacity for mobilizing every potentiality of self at any point of challenge in events. Here is emphasis on the individual’s effective and profitable participation in a reality which he has been able to approach and master through the completeness of his perspective. His gift of concentration is his genius of self-fulfillment. The keyword is ability. When positive, the degree is high sensitiveness to every possibility of accomplishment of broadened self-discovery, and when negative, unsuspected bigotry or foolish exactitude. This symbol speaks to the extraordinary mastery of our mental abilities expressing our foresight, imagination, keen insight, sustained concentration and the anticipation of the thoughts and actions of others and the consequences of these actions. It is also our ability to profit and learn from our trials and errors, the routines of others, the laws of nature, and our natural ability to improvise, respond and quickly react effectively and forcefully when the unexpected happens. Our love of intellectual competition and sportsmanship with either our self or others is one of our innate needs. With the above assets, talents and techniques under our belt in hand with high hopes, positive thoughts and determination, how can we fail? We may not win like we hoped, but we will not have lost either, but have gained knowledge and wisdom to achieve our wishes and goals at the end. So with high hopes, there goes another rubber tree plant. However one receives the news today, either through the internet, on the air or print, one realizes that something is happening that is telling us that business as usual is not the case. Whether it is the political or physical upheavals in the world, weather patterns gone berserk and the doomsday prophesies; unrest, fear and frustration is here to stay with us for the time being. As the rebellion of thoughts and ideologies is running amuck across the global communities, the third eclipse in a row, forming a Solar Eclipse on July 1st 2011 at 9 Cancer 12 at 1:55 a.m. PDT, is a another clue telling us to pay attention to what is happening around us. That not only do we need to listen to our inner spiritual voices, but to be aware of everything that is going on around us, to make the right choices as we go forward during this period of trials and tribulations. This Solar eclipse square Neptune, trine Uranus and opposite Pluto is giving us another opportunity to get our personal world in shape, by giving us the energy and motivation to correct, clarify and fine tune our perceptions. As the aspects have been forecasting for the last few years, that reevaluation and change is not only simmering in the atmosphere, but the need for action to bring it into reality is a necessity and must at the moment. The question to be under consideration and concern, is what action of change is to be implemented, is it change from the inside or from the outside of ourselves? Is it change from the stand point of what we think the truth is, or from the standpoint of what we are being told and or are being convinced is the situation, or change from what the situation actually is? Do we need to use hindsight, foresight, insight, or are all three needed to be blended in with our logic and wisdom to come up with the right changes and direction that will place us on the road we should have taken? All these questions are needed to reinforce and to reestablish the correct perceptions of any situation when making decisions. It is whether we wish to continue as is, make some minor changes, or make a complete turn around, as no resolution can be made without a truthful perception of what the circumstance are, in which we are dealing with. 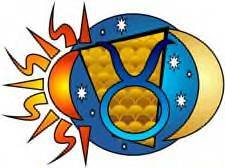 “The Sabian symbol for the 10th degree of Cancer is taken from “The Sabian Symbols in Astrology by Marc Edmund Jones”, and what follows are my comments. Cancer 10 A large diamond not completely cut This is a symbol of man’s basic self-justification on the cultural or intellectual side, and of the complete dependence of the world around him on his arts and skills for any values that may be built or sustained in its eternal promise. Here all progress turns out to be primarily the endowment of reality with expanded dimensions of significance, and man’s pilgrimage through the lower planes of being is revealed as a continual service to higher meanings through which he knows himself. The keyword is latency. When positive, the degree is an effective gift for dramatizing the potentialities of everything at hand, and when negative, a futile lean on purely static merit. This sabian symbol in Cancer is telling us that we need to nurture the ability to have the insight to see beyond the surface of a person, idea or circumstances where we can see the potential, and work with it until it is manifested into reality. It is the ability to see an uncut rough gem and to realize the finished product may be a diamond. It takes hard work and intuition to look beyond what appears in its rough stages and it takes determination, faith and the will to see the project through to the end. Whether it is an object, an idea, or person, it is the firm conviction and hard work that brings the potentials into the open and we reap its rewards. The ability to have the insight to recognize merit only comes when we begin to fine tune our perceptions. To begin to see things as they are, not the way we want to see them or the way others want us to see. Having a clear perception of any situation or problem will give us a head start in solving and creating a world we would be happy to live in. This Solar Eclipse is allowing us to correct, clarify and fine tune our perceptions, and our responsibility, is to have the insight and determination to work with it for our benefit and happiness.